Attucks was the first of five colonists killed by British soldiers (“regulars”) in 1770, and the first African-American. His father was an African brought to Massachusetts as a slave, his mother was a member of the Wampanoag tribe. The younger Attucks was owned by William Brown, but escaped a year before 1750, when Brown placed an ad in the Boston Gazette. Brown’s ad included a carrot and a stick. The carrot was a reward of 10 pounds (about $1,200 today). The stick was a warning to ship captains to not provide him refuge. Historians think a few ship captains did just that, and that Attucks worked as a ropemaker and did other seafaring sorts of things on whaling ships. There are conflicting reports of what happened that March 5. (You can more partisan accounts from Team Colonist’s side here and Team Redcoat’s here ). My people – the Jewish ones in this instance – have a custom of remembering the anniversary of a person’s death. The Jews who scattered to Germany, France, England and Eastern Europe after the Romans expelled us from our original stomping grounds call it “yahrzeit,” a Yiddish word. Jews who scattered closer to home – Italy, Tunisia, Yemen, Spain – call it “Anos” in Ladino, the language they spoke. I’ll be lighting one in memory of my father tomorrow night. 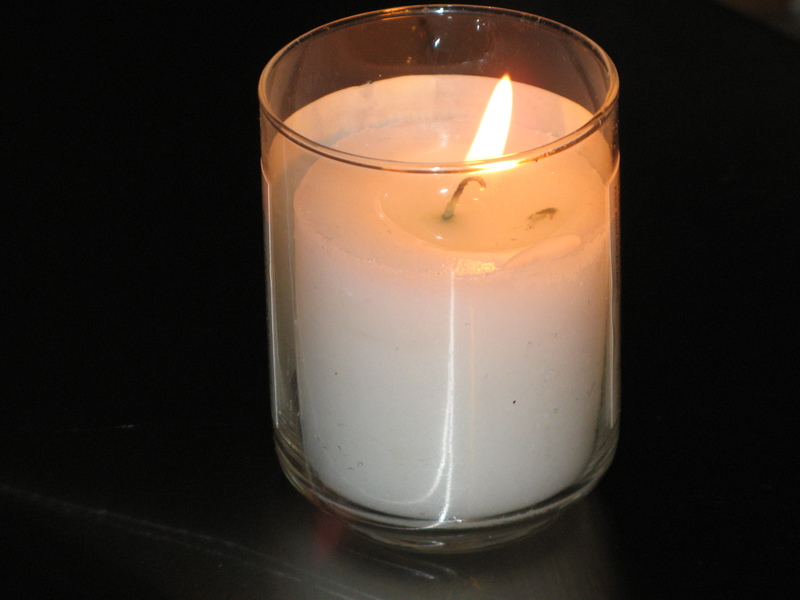 A yahrzeit/anos/memorial candle, lit to commemorate the anniversary of a loved one’s death. The candle burns for 24 hours and is lit the night before the day of the anniversary. Today, though, is Crispus Attucks’ anos. Or his yahrzeit. It’s a Jewish Potato/potahto thing. On a more serious note, I can’t help but think we in the United States of America be better off as a country if more people remembered that a first-generation immigrant-by-force and person of color was one of the first to die defending its sovereignty.